Today two (unrelated) 3D printing startups, one in Ireland and the other in the UK, have received significant financial attention. Wazp, a 3D printing supply chain management company headquartered in County Kerry, has just raised €2 million in funding. Meanwhile, across the pond in Liverpool, digital spare part marketplace Connect 4.0 has just secured a €2.2 million contract from South African service bureau Robotica 4.0. Wazp to bring 3D printing supply chain solutions to the U.S. Founded in 2014, Wazp’s vision is “to bring 3D printed products in volume to many customers.” To do this, it produces a number of software platforms, including the Wazp Digital Supply Chain Solution, that allows companies to manage, schedule and track orders for 3D printed products. In addition, the company has a software toolkit for optimizing 3D printable files, and an Additive Manufacturing Platform linking businesses to a network of 3D Printing Makers. In 2017, the company helped IKEA produce its first 3D printed product – the OMEDELBAR hand used a decorative element for dressing rooms. The money recently raised by Wazp will be used over the next two years to strengthen its position in the European market, and expand production into the U.S. Contributions to the €2 million pot were provided by seasoned technology investor Pa Nolan and John Moloney, managing director of Irish global nutrition group Glanbia. Connect 4.0 was founded in 2018 on the principle of helping customers design and customize high-tech products. 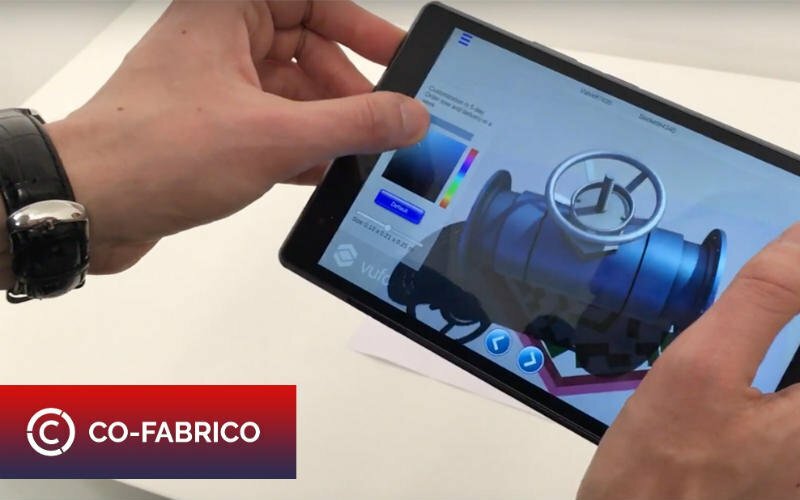 One way in which this is achieved is through the company’s Co-Fabrico platform – cloud software as a service (SaaS) that facilitates AR customization, and the on demand production of 3D printed car parts. The development of Co-Fabrico was achieved with the support of Warrington’s Virtual Engineering Centre (VEC) LCR 4.0, a European Regional Development Fund (ERDF) project to help SMEs in Liverpool adopt cutting edge technologies. In this new contract valued at €2.2 million, Connect 4.0 will white label its Co-Fabrico platform for Robotica 4.0’s 3D printing services in Angola. Are either of these companies your 3D Printing Start-up of the Year? Make your decisions now for the 2019 3D Printing Industry Awards. For more business updates and other news subscribe to the 3D Printing Industry newsletter, follow us on Twitter and like us on Facebook. For new opportunities in your field join 3D Printing Jobs.